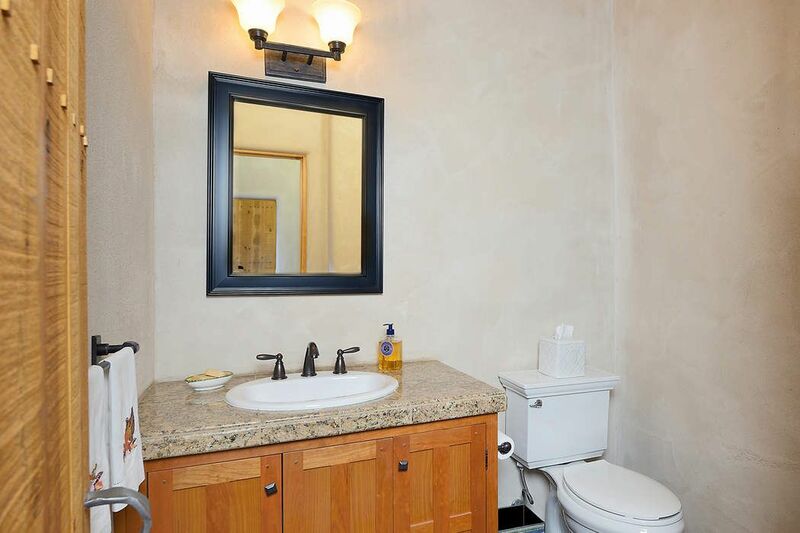 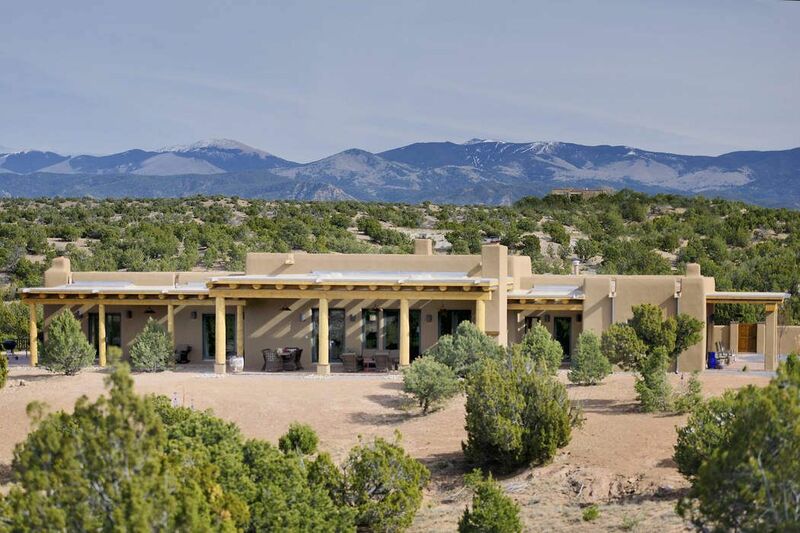 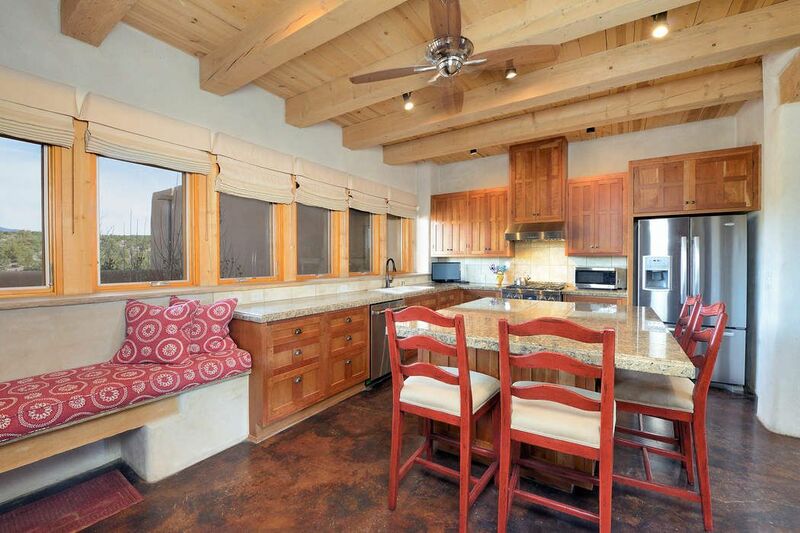 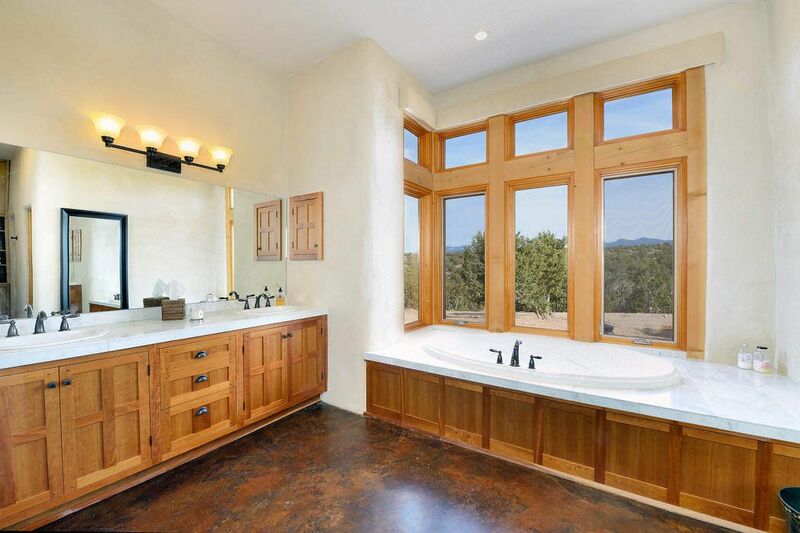 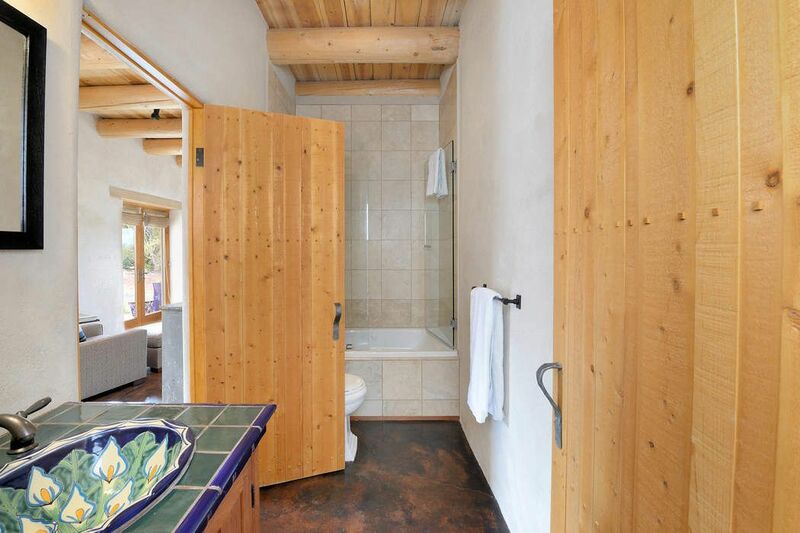 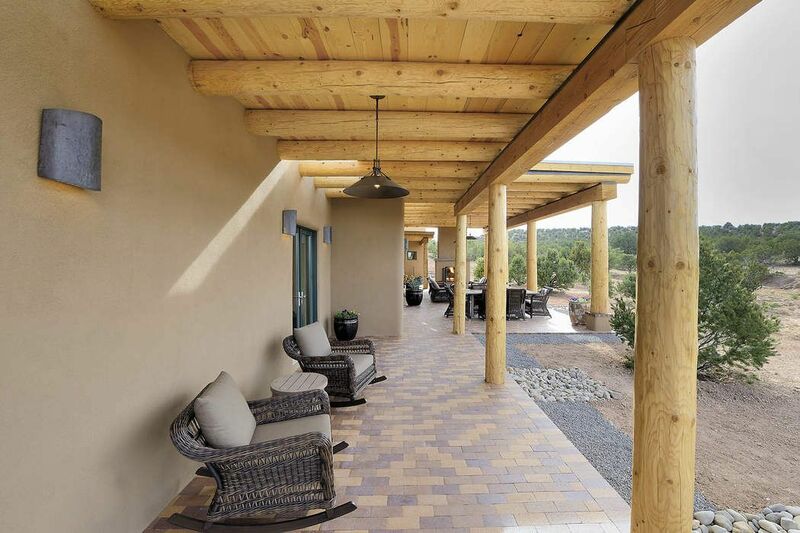 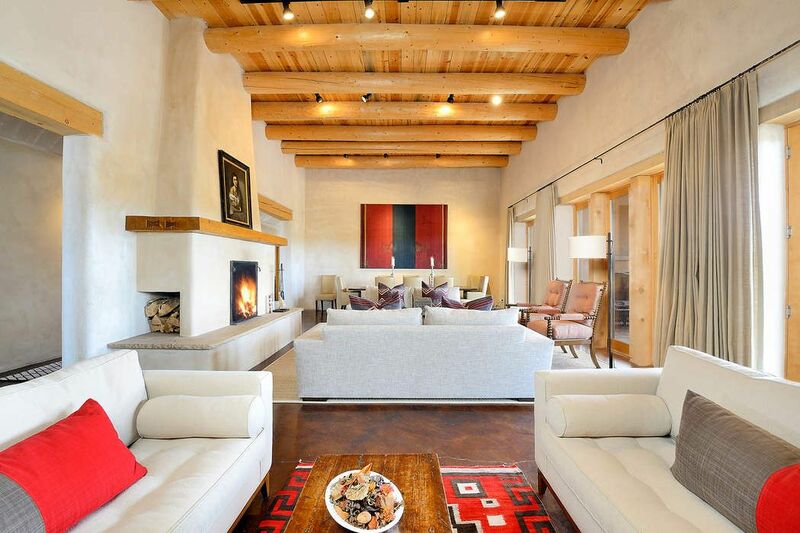 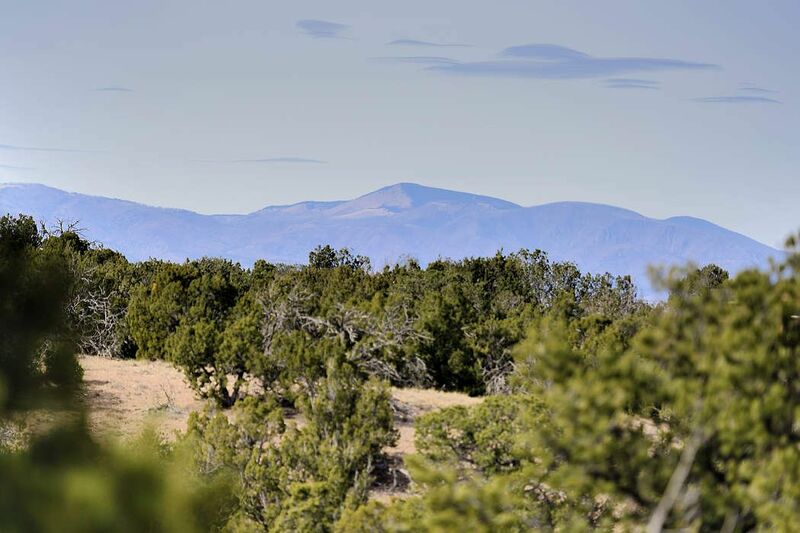 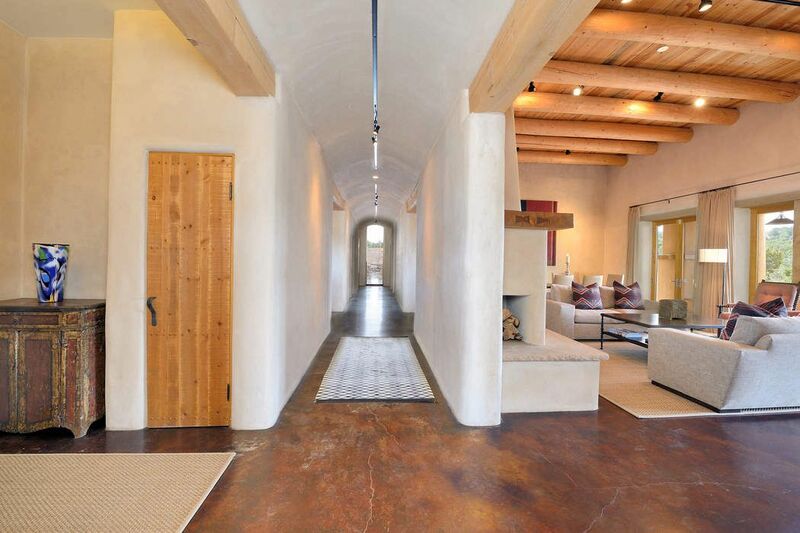 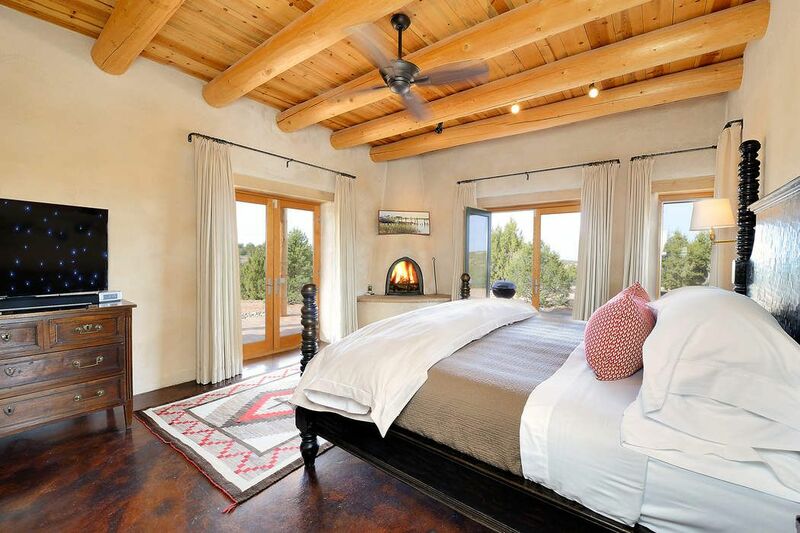 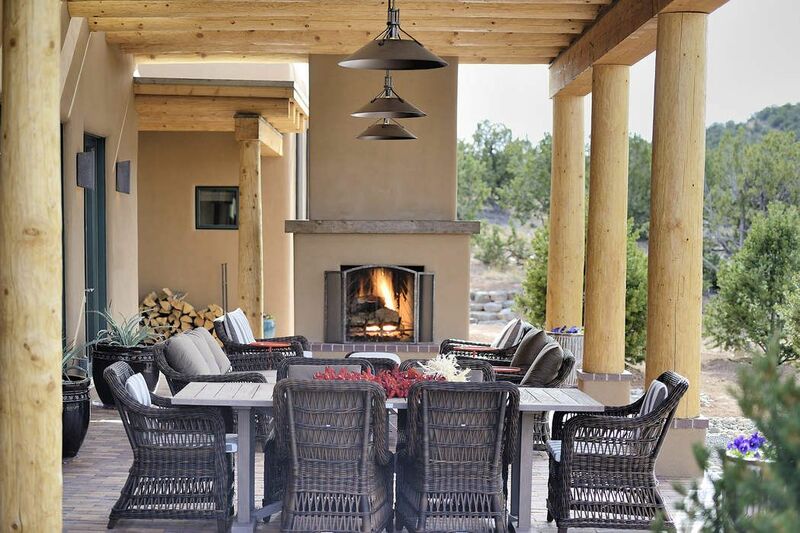 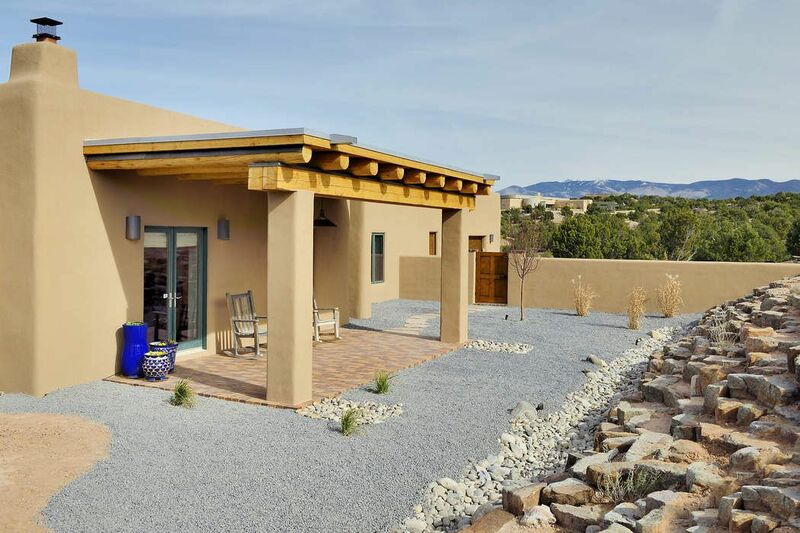 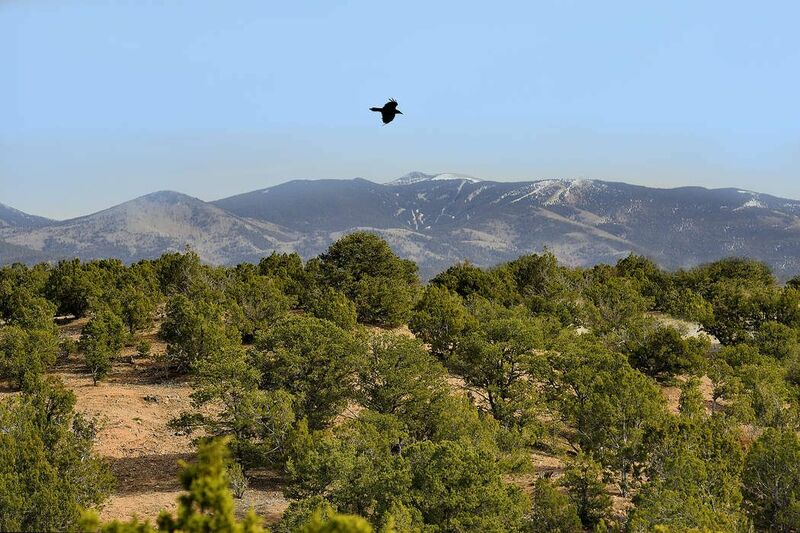 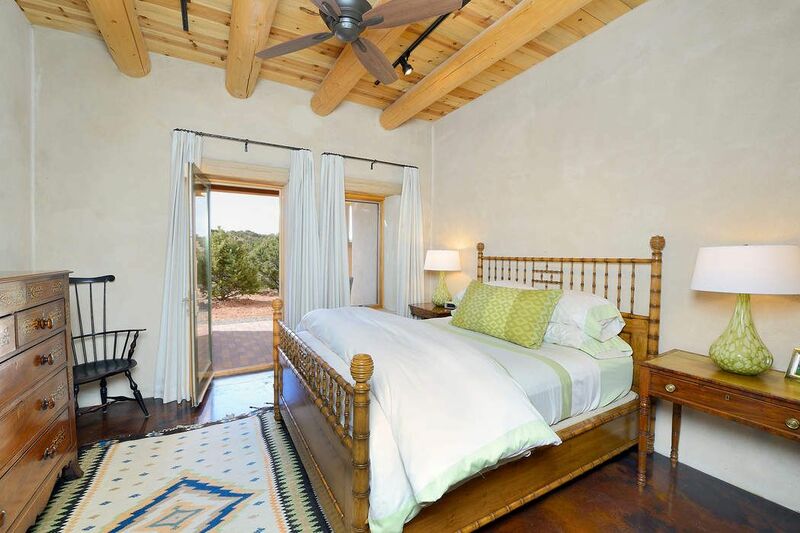 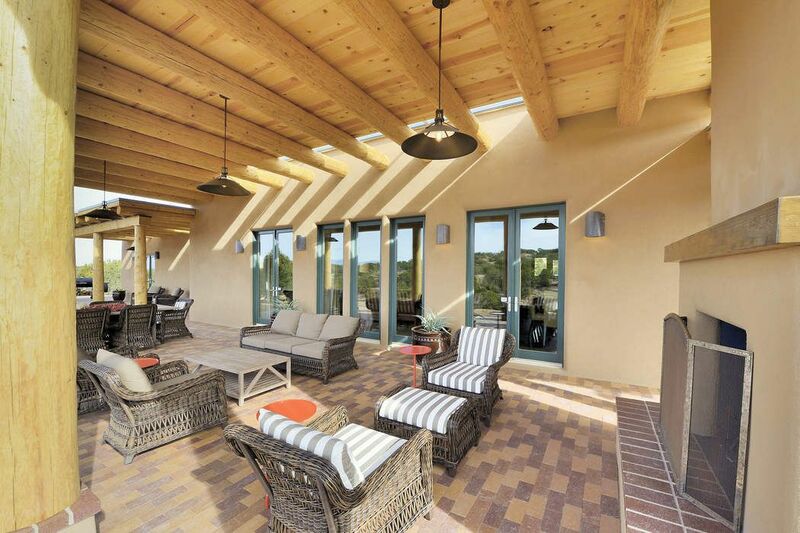 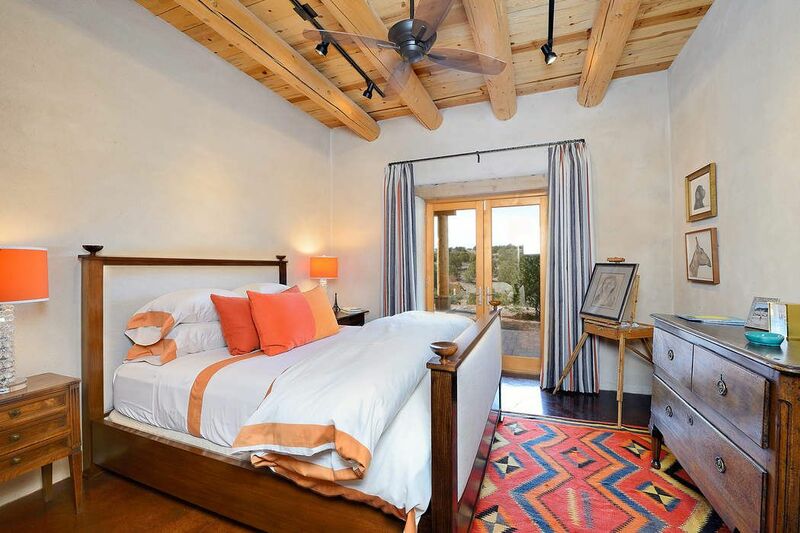 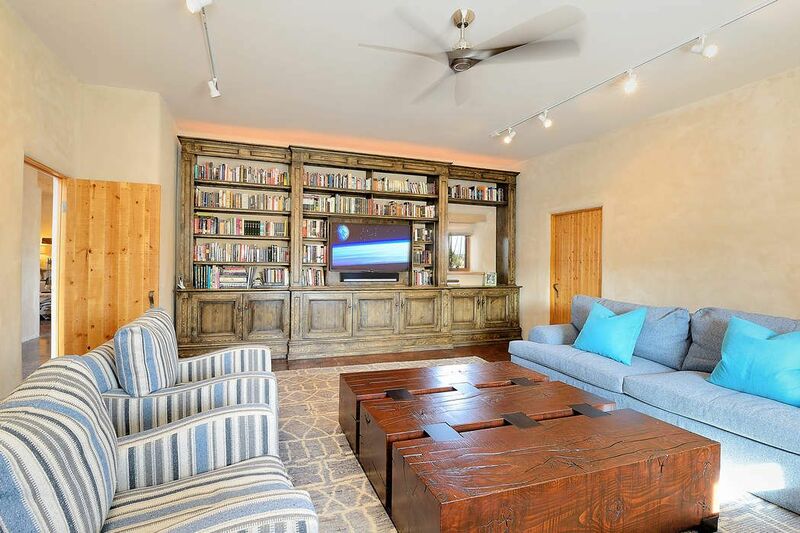 122 Estrada Redonda, Santa Fe, NM 87506 | Sotheby's International Realty, Inc.
$1,275,000 3 Bedrooms2 Full / 1 Partial Baths3,956 sq. 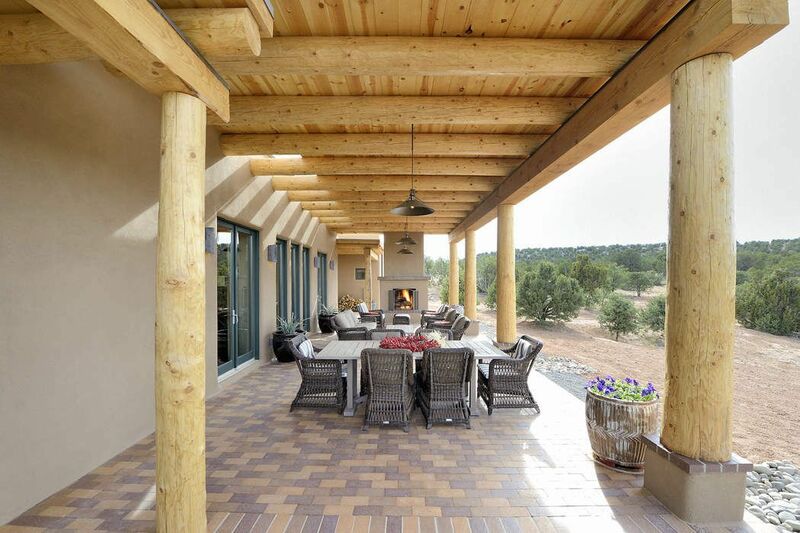 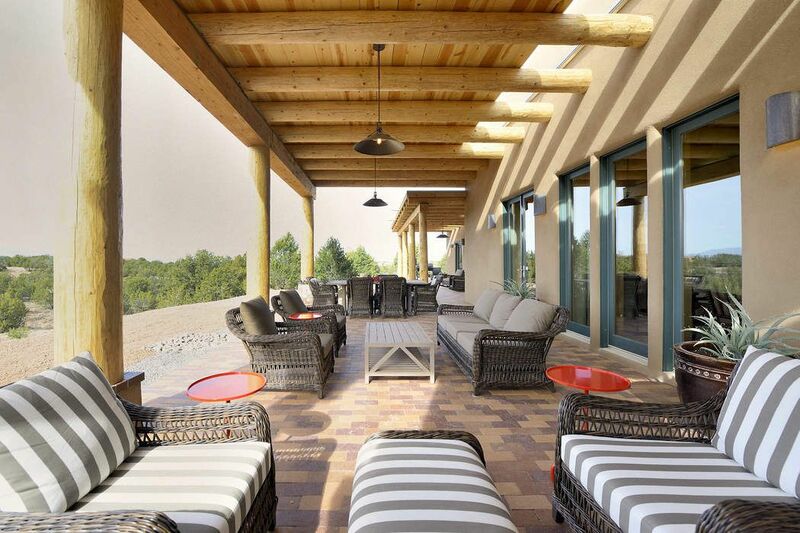 ft.
Serene and private, this stunning 14+ acre estate in La Tierra exudes grace and elegance. 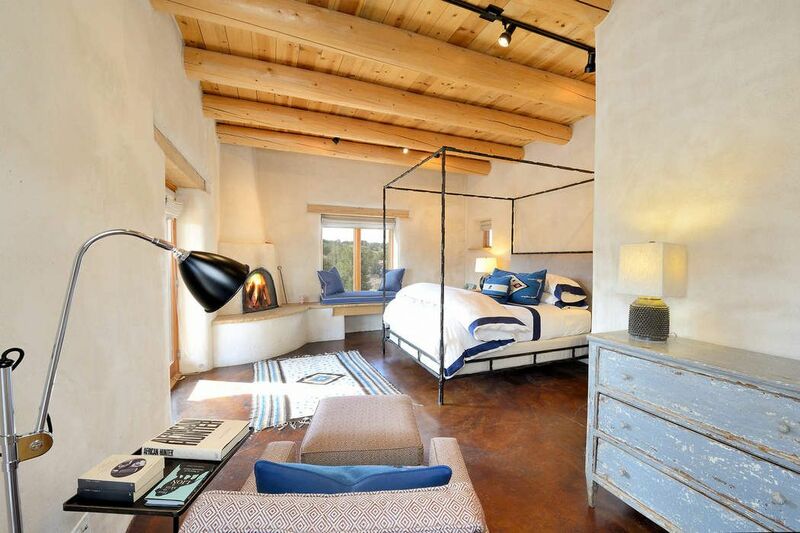 This 3 bedroom, plus 4th room that could be used as a den, office or bedroom-2.5 bathroom soft contemporary home features a thoughtful floor plan with nice separation between the master and guest rooms...an open concept living, kitchen, and dining area....2000 sq/ft of gorgeous, new, architecturally designed portals with brick flooring that allows for outdoor entertaining from numerous locations....stained concrete floors....high ceilings...chef's kitchen...new stucco...this 6 year old home, is not to be missed....for the discerning buyer looking for acreage, views and the Santa Fe lifestyle.